I’m pleased to say that Laura McCoy, Michelle, Joey Williams and Lena worked out that it’s the right femur of a Perissodactyl, but there was a lack of agreement about which kind of Perissodactyl it might be. Rhino’s weren’t considered, since their femurs are distinctively massive, but both Tapirs and Equids were suggested (which could include Horse, Donkey, Zebra, maybe even Quagga). My first thought was Horse, mainly because it looks very much like a Horse femur and they are quite common in collections – but that’s not really good enough for the purposes of real identification. 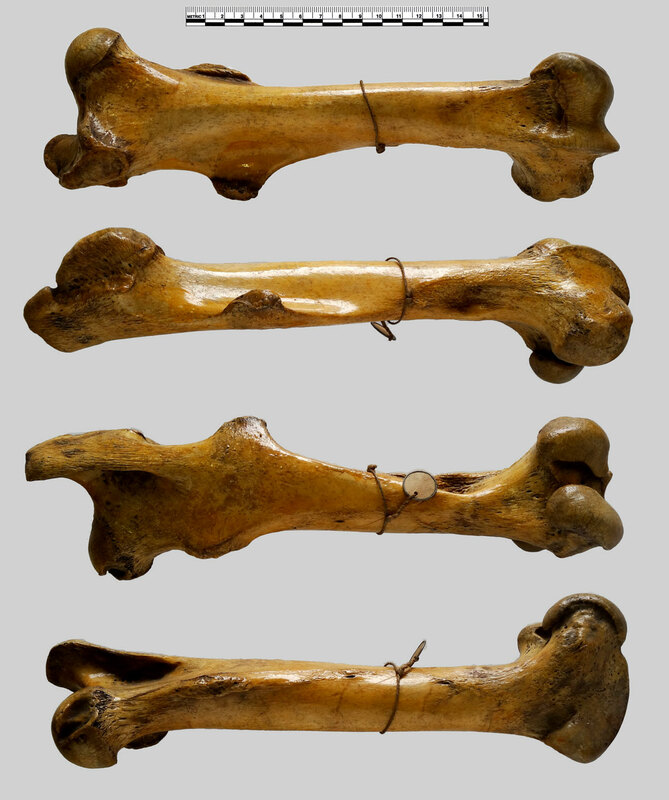 On inspection of images of a Tapir femur in a veterinary manual (link opens pdf) I had to have a rethink and now I am really not sure about the identification, particularly since I know that there is a big box of Tapir postcrania that came into the Horniman from the same collection as the Ostrich. 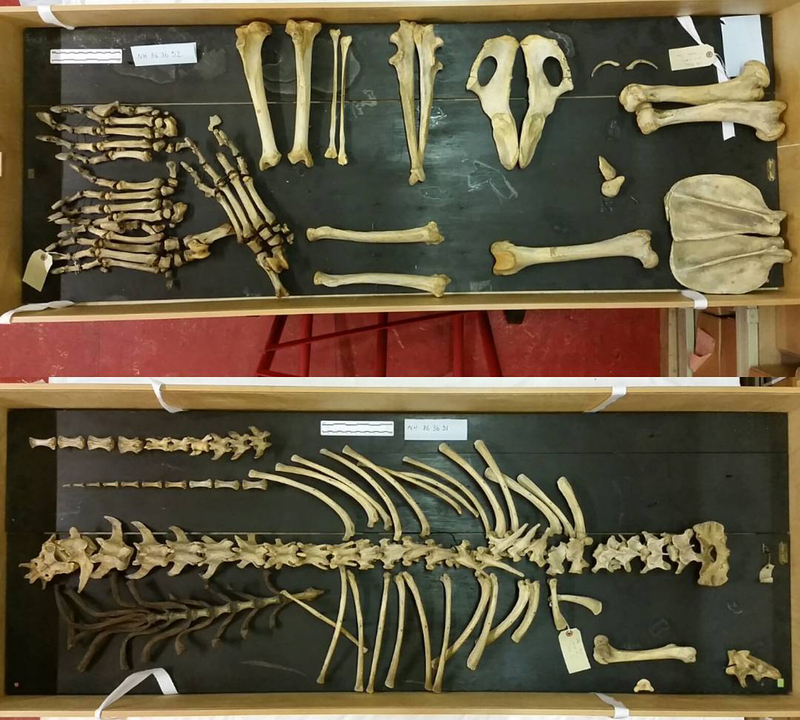 Other specimens from that acquisition have also been mixed up, for example a box of Lion postcrania I was working in today had Manatee atlas and axis vertebrae and a Pig femur in the same box, while the box of Pig postcrania held the Lion atlas and axis.